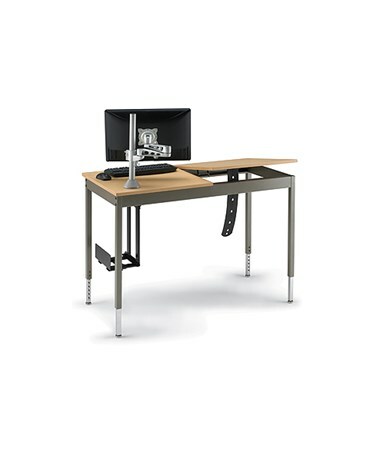 The Smith System Split-Top CAD Desk is a functional graphic arts table. 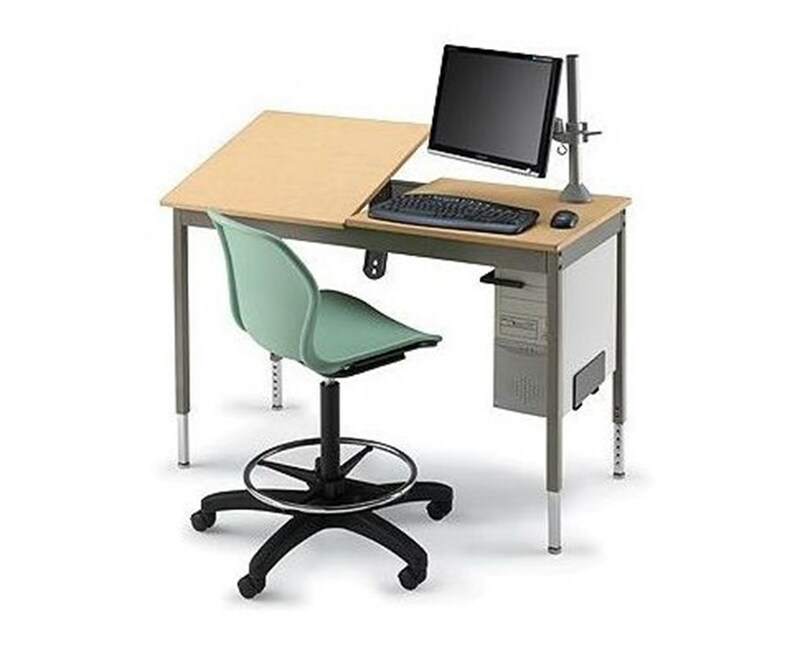 With its 24”W x 48”L split-top tabletop, it allows both manual and computerized drawing or drafting. Its 24”W x 24”L tilting work surface is perfect for paper-and-pencil drafting. Its angle is adjustable from 0 degree through 45 degree. The other 24”W x 24”L flat, fixed part of this graphic arts table provides an area for a laptop. 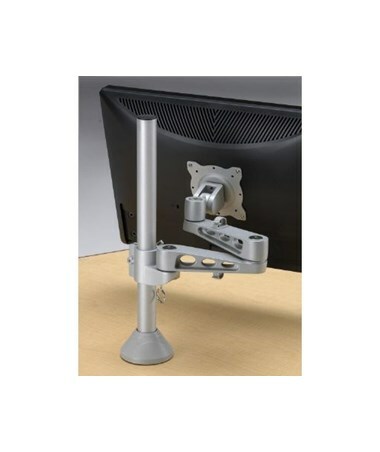 Optional flat panel monitor arm and CPU holder are being offered to accommodate a desktop computer. This means additional working area. 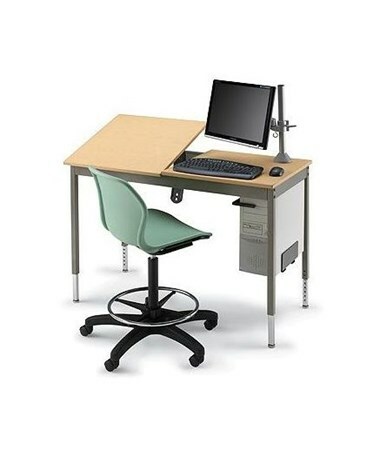 The Smith System Split-Top CAD Desk features a durable ¾-inch thick Melamine Tabletop and a sturdy gray steel base. Its height can be adjusted from 29 inches up to 39 inches. It includes adjustable leveling glides. Please Note: Computer and chair are not included.